The Walt Disney Co. March 12 said it expects to close its $71.3 billion acquisition of 20th Century Fox Film Corp. and related businesses on March 20. In a filing, Disney said 21st Century Fox shareholders have until March 14 to decide how they wish to receive their share/cash-based compensation. Disney said it would calculate the amount of cash and/or shares of new Disney common stock to be distributed to each 21st Century Fox stockholder based on all valid elections received and in accordance with the merger agreement. About half ($35.7 billion) of the acquisition price is in cash. Consummation of the mega merger makes Disney the largest Hollywood studio, in addition to majority owner of Hulu and online TV subsidiary Hulu with Live TV. In its most-recent fiscal period, 20th Century Fox Studios reported operating income of $193 million, a 47% increase over the $131 million reported in the previous-year quarter. Quarterly segment revenue decreased 4% to $2.16 billion, from $2.24 billion, primarily reflecting lower home entertainment revenue at the film studio and lower syndication revenue at the television production studio. Through half the fiscal year (ended Dec. 31, 2018), revenue dropped less than 6% at $3.97 billion, compared with $4.2 billion in the previous-year period. Original television production is all the rage in Hollywood, especially at Netflix. 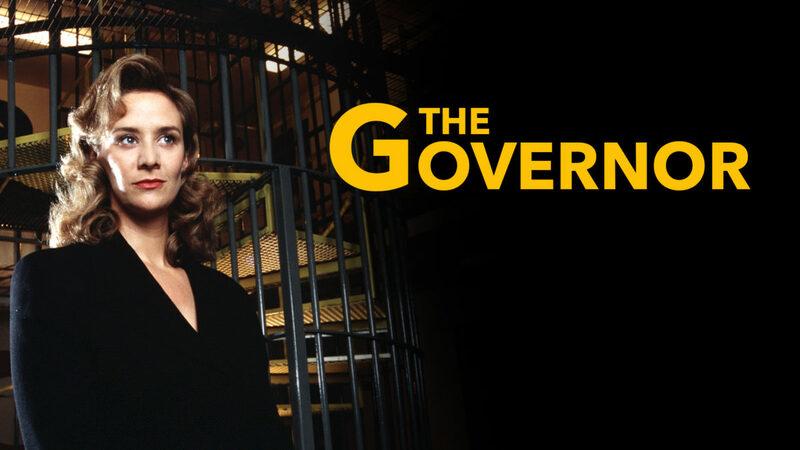 The SVOD pioneer perhaps overstaffed with VPs mining for original episodic programming. 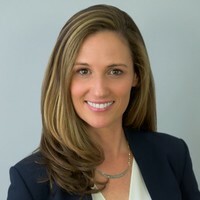 Jennifer Gonsky, director of global original series at Netflix, has left to join Fox Searchlight TV as head of business affairs — the 11-month-old episodic programming unit of Fox Searchlight Pictures. Gonsky spent 11 years at FX before joining Netflix in 2016. At Netflix Gonsky spearheaded original series “The Chronicles of Narnia,” “Ratched” and “The Politician,” among others. Gonsky reports to David Greenbaum and Matthew Greenfield, co-presidents of production for film and television at Fox Searchlight Pictures, in Los Angeles. The company will soon be part of Disney once regulatory approval of its $71.3 billion acquisition of 20th Century Fox Film Corp. is finalized. Longtime Disney home entertainment executive Janice Marinelli has been promoted to president, global content sales and distribution as part of planned management changes following the media giant’s $71 billion acquisition of 20th Century Fox Film Corp.
Marinelli, who had been president of Disney/ABC Home Entertainment and Television Distribution, reports to Kevin Mayer, chairman of The Walt Disney Co.’s direct-to-consumer & international segment. Separately, Rebecca Campbell, president, The Walt Disney Company EMEA, continues in her position with added oversight of Russia and former satellite countries in the Soviet Union. Jan Koeppen, president of Fox Networks Group Europe and Africa, will transition to president, television and direct-to-consumer, The Walt Disney Company EMEA. Carlos Martinez, president, Fox Networks Group, Latin America, becomes EVP and GM, Media Networks, North and Brazil, The Walt Disney Company Latin America. 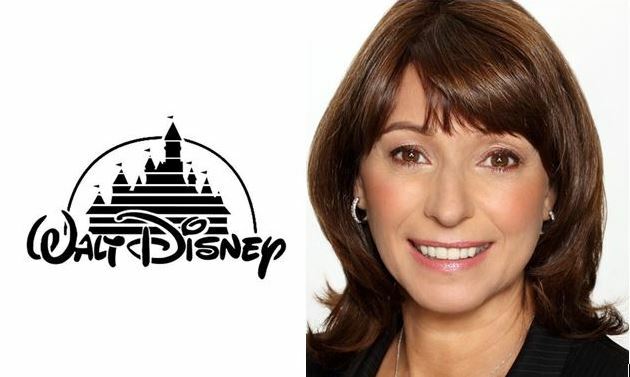 Marina Jigalova-Ozkan continues as managing director for Disney’s direct-to-consumer business, Russia and CIS. Diego Lerner, president, The Walt Disney Company Latin America, continues in his position, while Uday Shankar, president, 21st Century Fox, Asia, and CEO of Star India, becomes chairman, Star and Disney India, and president, The Walt Disney Company Asia Pacific. The line, from the hit Disney film Finding Nemo, seemed to resonate with the several hundred execs in the room, many of whom have been contending with increasingly choppy seas for the better part of a decade. Later, she doubled down on her beliefs in the home entertainment sector – including the physical disc – in an interview with Media Play News. Twenty-First Century Fox Nov. 7 disclosed a first-quarter (ended Sept. 30) equity loss of $114 million regarding its 30% ownership stake in Hulu. The loss represented an 84% increase from an equity loss of $62 million during the previous-year period. Hulu, which is co-owned by Disney, Comcast and WarnerMedia, continues to generate significant losses on paper to its corporate owners, who license hundreds of millions of dollars in content to the 20+ million subscriber over-the-top video service. While Hulu is nominally losing several billion dollars per year, its “losses” essentially amount to the excess it pays to its four sponsors over the revenues it generates, according to Wedbush Securities media analyst Michael Pachter. “If the four [corporate] sponsors find a way to grow Hulu’s subscriber base, it should be able to achieve breakeven, and it should manage to gain market share from Netflix,” Pachter wrote in a recent note. The analyst expects content from Disney, Fox, Universal, and Warner to be largely unavailable to Netflix going forward, leaving the SVOD pioneer trying to buy content from Sony, Paramount, Lionsgate, MGM, and smaller studios. 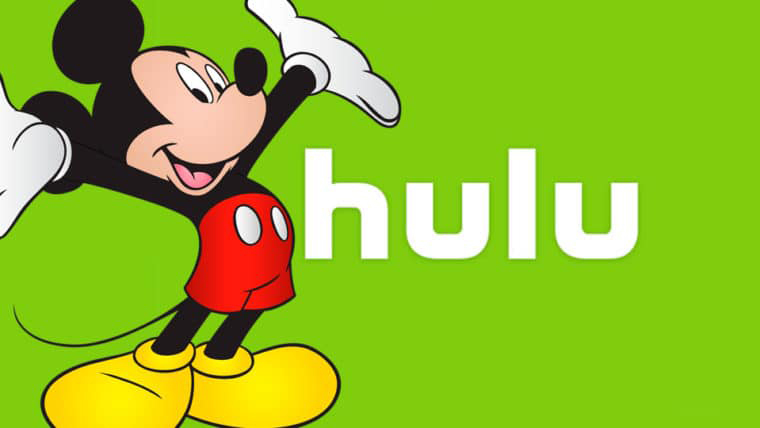 “Ultimately, we expect Hulu to become a formidable competitor to Netflix, particularly should Disney and Warner Bros. layer their own streaming offerings as premium additions to a basic Hulu subscription,” Pachter wrote. Meanwhile, 20thCentury Fox Film (which includes 20thCentury Fox Home Entertainment) reported operating income of $277 million, an 8% increase from the $256 million reported in the prior-year quarter. The increase reflected higher contributions from the television production studio led by higher SVOD licensing of animated product. Quarterly revenue decreased 7% to $1.82 billion, primarily reflecting lower theatrical revenue from a lower volume and mix of films released in the current quarter partially offset by higher SVOD revenue at the television production studio. “We continue to deliver against our growth plan even as we make important strides toward completing our Disney transaction and launching Fox in the first half of 2019,” executive chairmen Rupert Murdoch and his son Lachlan said in a statement. Separately, Fox posted a $147 million equity gain from its 39% stake in British satellite TV operator Sky – up 34% from an equity gain of $110 million last year. Fox recently sold much of its Sky stake to Comcast. Finally, the European Commission approved Disney’s acquisition of 20thCentury Fox provided it sells its stake in A&E channels (History, H2, Blaze, Lifetime, Crime + Investigation) distributed overseas. “The commission’s decision is conditional upon full compliance with the commitments,” the EC said in a statement. NEWS ANALYSIS — As expected, Comcast Corp. increased its all-cash offer for British satellite TV operator Sky to $34 billion (£26 billion), or £14.75 per share, exceeding 21st Century Fox’s revised offer of £14 per share. Fox, which is controlled by Rupert Murdoch, currently owns 39% of Sky. This came the day before the British government — after months of regulatory review — formally cleared Fox’s pursuit for remaining interest in Sky. “It’s now a matter for Sky shareholders to decide whether to accept 21stCentury Fox’s bid,” Jeremy Wright, U.K. cultural and media secretary, said in a July 12 statement. Which could be meaningless considering the third player (Disney) in this high-stakes media consolidation battle last month upped its bid for Fox to $71.3 billion (which includes Fox’s stake in Sky) after Comcast offered $65 billion — topping the Mickey Mouse’s company’s initial $52.4 billion acquisition amount. Disney CEO Bob Iger has called Sky – with 23 million subscribers in the U.K., Germany and Italy, and a budding over-the-top video business – the “crown jewel” in the Fox deal. Comcast claims its superior cash offer (Disney’s bid is cash and stock) has been recommended by an independent committee on Sky’s board of directors. The company says it has the relevant regulatory approvals in the European Union, Austria, Germany, and Italy — and expects to complete the acquisition before the end of October. In a statement, the Philadelphia-based media giant said it has long admired Sky and believes the satellite operator is an outstanding company and a great fit with Comcast Cable. “Today’s [July 11] announcement further underscores Comcast’s belief and its commitment to owning Sky,” said the company headed by cable veteran Brian Roberts. 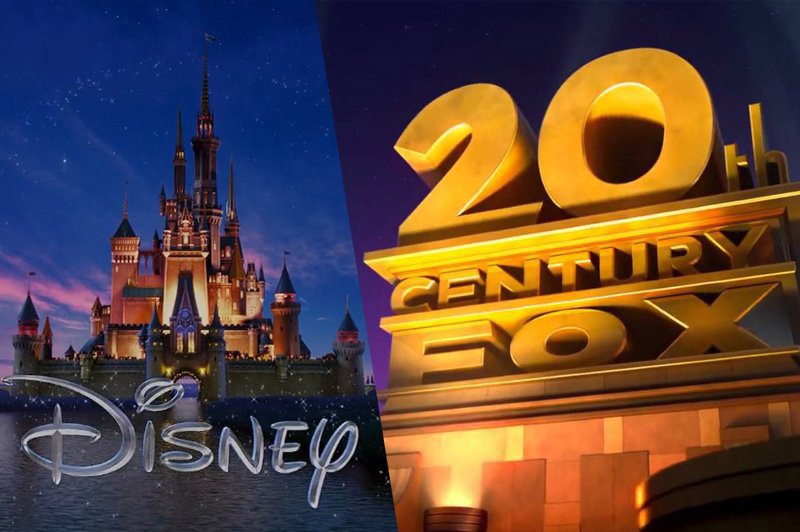 Fox and Disney shareholders are slated to vote July 27 on the latter’s bid for 20th Century Fox Film, Sky and related assets. This gives Comcast about two weeks to up its Fox bid. Or does it? BTIG Research senior analyst Rich Greenfield — in response to media scuttlebutt Comcast and Disney could stop the fiscal escalations with Comcast taking Sky and Disney opting for Fox’s assets — says such a move would be detrimental to both sides. He said combining Disney and 20th Century Fox Film would dwarf Comcast-owned Universal Studios, while Disney abandoning Sky would give Comcast greater distribution. The “Sky” is apparently the limit for 21st Century Fox, which on July 11 upped its offer more than 30% for the British satellite TV operator to £14 per share — valuing the company at $32.5 billion. Fox, in late 2016, offered £10.75 per share of Sky stock (61%) it did not already own. The bid represents an 82% premium on Sky’s £7.69 per share closing price the day before Fox’s initial bid. It also tops Comcast’s rival offer of £12.50 per share. “As a founding member of Sky, we have remained deeply committed to bringing these two organizations together to create a world-class business positioned to deliver the very best entertainment experiences well into the future,” Fox said in a statement. It’s a sentiment shared by The Walt Disney Co. and Comcast, which both have competing takeover bids for select Fox assets, including 2oth Century Fox Film and Sky. Consolidation in the media world is in full swing following AT&T’s $85 billion acquisition of Time Warner as companies grapple with over-the-top video and subscription streaming video behemoths Netflix and Amazon Prime Video. Disney last month upped its offer for Fox to $71.3 billion after Comcast bid $65 billion — topping Disney’s initial $52.4 billion acquisition amount. Federal regulators last month approved Disney’s bid after the Mickey Mouse company agreed to divest 22 regional Fox Sports networks. Across the pond, the U.K. Secretary of State is expected rule on the Fox/Sky deal by July 12. 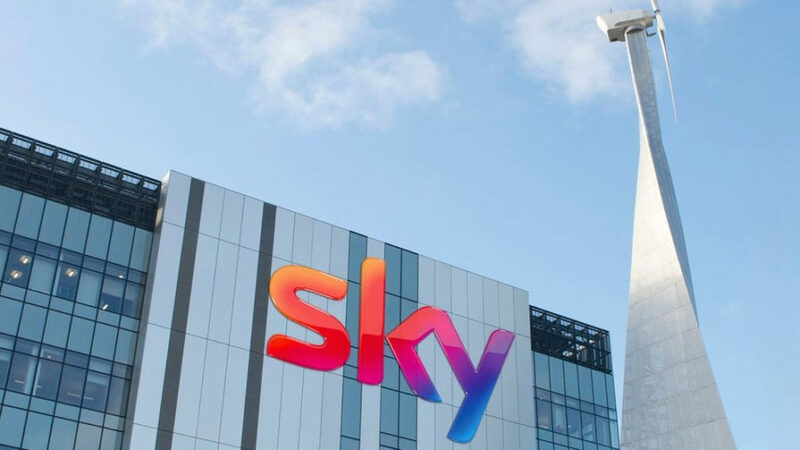 Regardless, Sky shares closed July 10 at £15.01 per share suggesting the sky is indeed the limit for shareholders convinced the bidding war will continue. The day after The Justice Department June 27 approved The Walt Disney Co.’s $71.3 billion cash/stock acquisition of 20th Century Fox Film (which includes British satellite TV operator Sky Plc.) 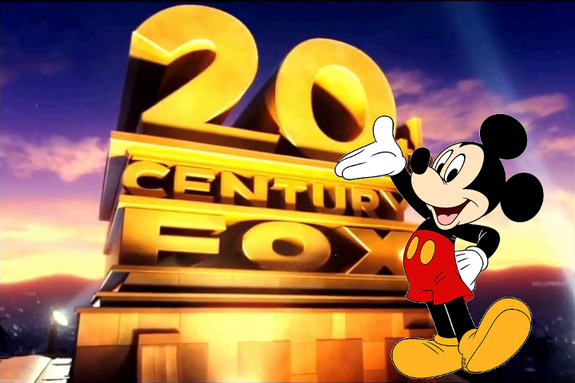 both Disney and 21st Century Fox announced their respective shareholders will vote July 27 on the mega-merger. Both companies canceled previously-slated July 10 shareholder votes after Comcast submitted a rival $65 billion all cash offer that trumped Disney’s initial $52.4 billion bid. The new vote date gives the corporate parent of Comcast Cable, NBC Universal and DreamWorks Animation less than a month to secure a new bid. Media reports suggest Comcast – whose cable operations are under threat from over-the-top video services such as Netflix and Amazon Prime Video and needs Fox content – will counter. “We believe another counteroffer from Comcast for Fox is likely,” John Hodulik, analyst with UBS, told Deadline.com. Moody’s Investor Service reportedly said Comcast’s current offer would push the company’s debt load to more than $170 billion. While corporate debt is relative, both Fox and Disney contended their deal would pass regulatory muster more easily than Comcast’s. And apparently it did. While the antitrust unit of the Department of Justice entered into a consent decree with Disney and 21st Century Fox that allows the acquisition to proceed – mandating the sale of the Fox Sports Regional Networks as a requirement – it has made no ruling on Comcast’s offer. Regardless, Disney has at least 90 days from the date of closing the transaction to complete the sale, with the possibility that the DOJ can grant extensions of time up to another 90 days. The decree is subject to the normal court approval process. But first, shareholders have to vote. Independent distributor RLJ Entertainment May 10 reported a first-quarter net loss of $6.5 million, compared with a net loss of $6.1 million during the previous-year period. Revenue increased 34% to $18.5 million, from $13.8 million a year ago. RLJE, which includes Image Entertainment, Agatha Christie Ltd., RLJ Entertainment Ltd., and Acorn Productions Ltd., attributed the higher loss to non-cash warrant expense driven by the appreciation of the company’s stock price. RLJE said increase in revenue was primarily driven by the over-the-top video business. The digital channels unit, which includes Acorn TV and Urban Movie Channel (UMC), saw the collective subscriber base increase 44% to more than 750,000 members, from 520,000 in the previous-year period. Segment revenue increased 45% to $8.7 million from $6 million last year. “Our increased investments in unique and original content, expanded consumer awareness and broader distribution resulted in a strong first quarter,” CEO Miguel Penella said in a statement. Meanwhile, the wholesale distribution segment, which includes packaged media, saw revenue increase nearly 25% year-over-year – driven by digital distribution. “Digital sales led … as we continue to transform the business from physical to digital [content],” Penella said. Equity earnings from Agatha Christie Limited increased 42% to $800,000 — driven by film and publishing business segments. RLJE owns 64% of the company that manages Christie’s literary works, including more than 80 novels and short stories, 19 plays, and 40 TV movies, featuring characters Hercule Poirot and Miss Marble. In 2013, RLJE licensed theatrical, home entertainment rights to Murder on the Orient Express to 20th Century Fox Film Corp. Fox released a remake last December, starring and directed by Kenneth Branagh, that generated $351 million at the global box office. Fox released the title into retail channels Feb. 27. As previously reported, CFO Nazir Rostom is leaving May 11 after two years with the company.